A woman's live video feed unveiling her newly-purchased Chewbacca mask is hilarious - and it's guaranteed to make you laugh. 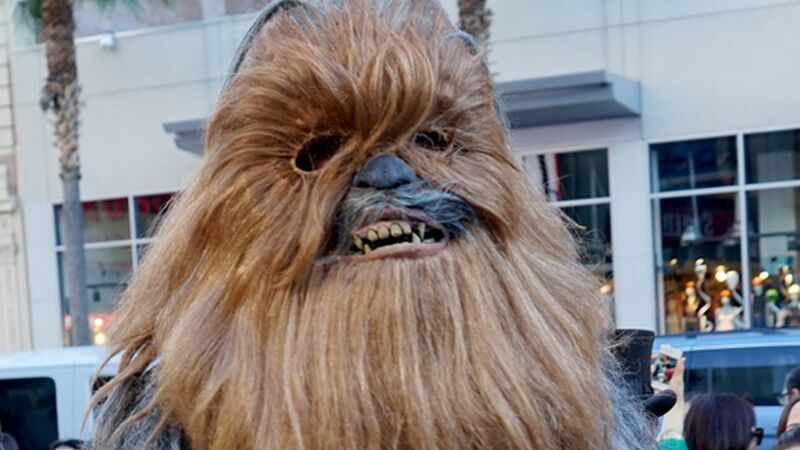 The Texas mom said she went to Kohl's to return some items, and while she was there, she spotted a Chewbacca mask that she couldn't resist buying. As soon as she got back to her car, she started up the feed. "Want to see what I got? It's so great!" said Payne. "This is part of my birthday joy. Still rejoicing in my birthday." She continued to build up anticipation. "Stay patient people. Stay patient. This is going to be worth it. I promise," Payne said. "Maybe not. Maybe not. It's worth it to me!" Once the mask was on, the laughter was non-stop - and rightfully so. "That was the best birthday present ever to myself," Payne said, while wiping tears from her eyes. Thank you, Candace! You've made our day a little better.